We LOVE board games. So much that we’ve started seriously investing in them as a family and have quite a collection. Sadly for Hero, the games we play are usually too difficult for him and although we try to include him, he gets bored. 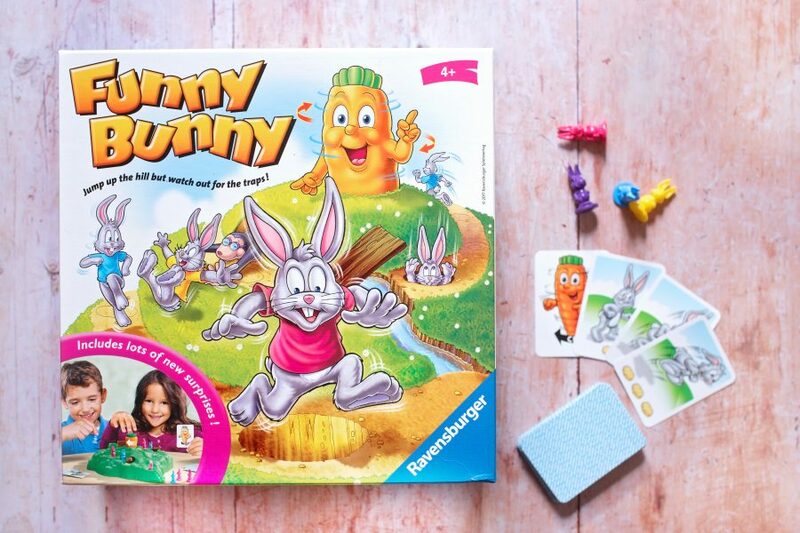 We’ve been sent the Funny Bunny Board Game to see how Hero will fare as a 3 and a half-year-old who’s desperate to be part of the board game gang on the weekends. 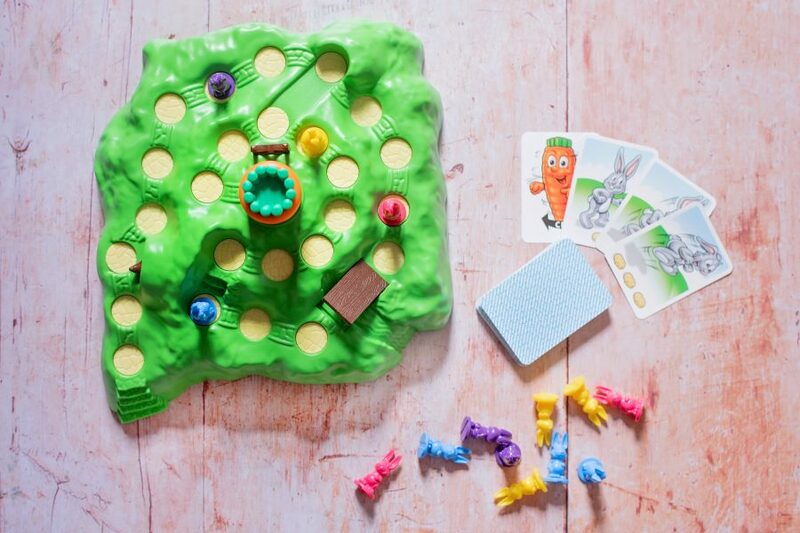 The idea is simple – it’s a four-player game, and every player has four little plastic bunnies of one colour. There are four kinds of cards which are shuffled into a pile. Taking it in turns, smallest person first, each player takes a car. The card options are a bunny with one place, a bunny with two and a bunny with three, and a carrot card. The bunny cards tell you how many moves to make [1, 2 or 3] and the carrot card means that the player needs to twist the carrot once that’s at the top of the game’s base, which is a rabbit hill. Every time the carrot is turned, there’s a possibility that places will turn into holes, or your bunny will get knocked down the hill or flipped off the bridge. The first bunny to get to the very top of the hill wins. If any of your bunnies fall through a hole, they are out of the game – and if you lose all of your four bunnies, you’re completely out. The simplicity of the game – Hero understands exactly what’s going on and gets so excited about the prospect of his bunnies falling down the holes. That there is nothing at all to assemble! That Funny Bunny needs no batteries! That everything fits into the box neatly to store away. That there were many more games like this one! This game is perfect for little people aged 3 and up, and is much more exciting than the usual move-your-counter games his age range are targeted with. We’d absolutely buy this. Prices range from £9.99 upwards.